Home health aides may work for an agency or directly for a patient's family. Either way, the home health aide typically works right in a patient's home that may be equipped with some basic medical equipment. Some home health aides work at residential care facilities. The job is often physically demanding due to the nature of the work, moving patients, and cleaning, and other physical tasks. According to the Bureau of Labor Statistics, home health aides who work for agencies that are funded by Medicare or Medicaid must meet minimum standards of training. These standards include 75 hours of training, plus 16 hours of supervised practical work, plus passing a competency evaluation or state certification program. Some states require additional training. A national certification is offered by the National Association of Home Care and Hospice (NAHC) but is not typically required for employment. The job outlook is excellent, according to the Bureau of Labor Statistics, with growth projected to be over 50 percent, which is "much faster than average" job growth. That growth represents the addition of about a half a million new jobs or more by 2018. Also, the job of a home health aide does not require a great deal of training or education. Also, people who are passionate about helping others will find the job very rewarding because you can make a significant impact in the lives of people who may be very ill, near death, or very lonely or isolated, among others. Advancement is very limited, but the career can be a great "stepping stone" to a higher level health career in a different capacity while completing other degrees or training for those more specialized roles. 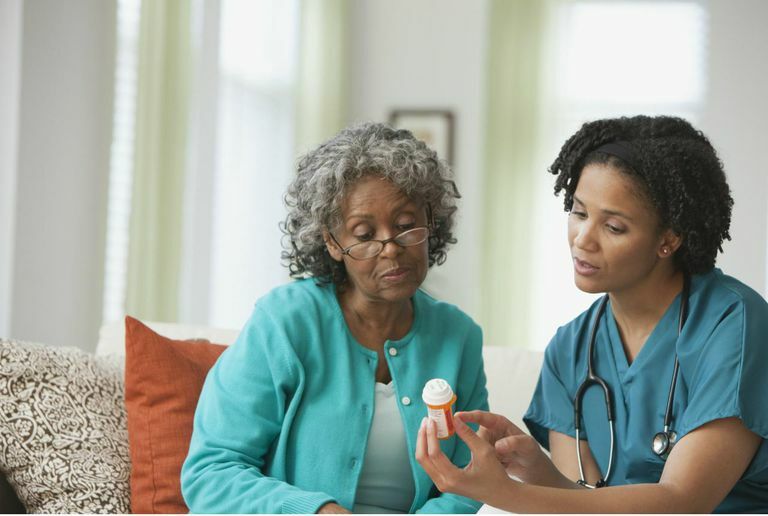 Additionally, because there is not a great deal of highly specialized medical training required to work as a home health aide, the pay is not very high as compared to many other medical careers. The average pay for home health aides is about $9.22 per hour, which equates to a little over $18,000 per year assuming a full-time, 40-hour work week. The mid-range is from $7.81 to $10.98 per hour, according to the Bureau of Labor Statistics. Bureau of Labor Statistics, U.S. Department of Labor, Occupational Outlook Handbook, 2010-11 Edition, Home Health Aides and Personal and Home Care Aides.